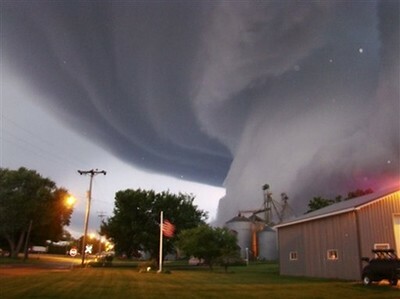 Ever seen a tornado close up? Is this picture real or fake? Many sites are reporting it as questionable. For instance, the lighting looks abnormal for 9 PM. 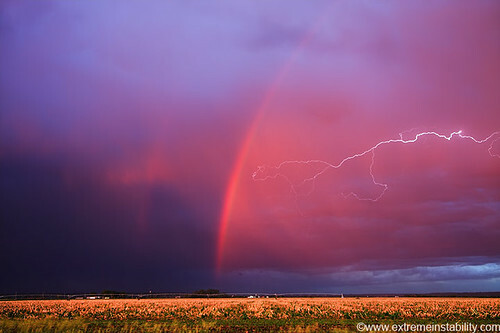 The image below is of a storm photographed by Mike Hollingshead. He’s quite a persistent storm chaser. Check out his new book and website at the links below for some awesome photography! Sometimes when the light is reflecting off of the ice crystals that form clouds, the result is a spectrum of colors forming a rainbow. 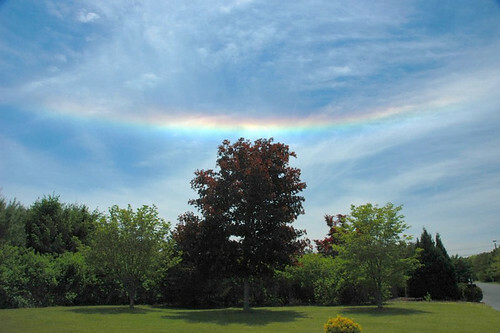 This rare inverted rainbow known as the “fire rainbow” photo was taken in New Jersey in late May. See it large at APOD. This is such a great read. It’s quite a real-time societal experiment. The article is a very well written summary of a bizarre controlled experiment in a bustling plaza in Washington D.C. I can’t imagine myself walking past this as if it weren’t there, but most folks did. Certainly read, but while you do, here is an audio recording of the event. I found it hard to believe. Well, I’m back! Had to post this as a follow up to the previous ZZ post. The two videos are certainly coincidental as I had no idea that ZZ Top would be on American Idol. I thought it was pretty cool that David Cook won the competition. His musicianship was the real reason that I would tune in. I happened into the show the night that Cook did All Right Now by Free. To me, he stood apart from the others. Runner up for me would have been Carly Smithson. I’m glad musicianship and heart prevailed!